The NextGen Genealogy Network is a 501(c)(3) non-profit organization which fosters the next generation’s interest in family history. They build connections between all generations, provide resources to promote the next generation’s engagement in the genealogical community, and offer innovative, virtual opportunities for development. Through communication and cooperation, they empower genealogists worldwide. They also have a channel on YouTube at which they share interviews they have conducted with genealogists all over the world. You can find that channel and many interviews at https://www.youtube.com/user/NextGenNtwrk. Here is an interview with George G. Morgan conduced by Eric Wells earlier this year. We thought this would be a another way to get to know George and his love for genealogy. The Genealogy Guys extend their warmest congratulations to our friend, David. What’s inside you isn’t just your DNA, but also the life experiences passed to you by your ancestors – which were often played out all over the world. Visiting the places your ancestors knew is life-changing, and preparation for a successful heritage tour is key. Before you buy a plane ticket, you first need clear goals for your trip. By visiting your ancestor’s homeland, are you hoping to extend your family tree by searching records in an archive or church? Are you hoping to visit the places where your ancestors lived and worked? Are you hoping to connect with distant cousins? Are you planning to include “tourist activities” as part of your family tree travels? All of these are meaningful goals that will lead to unforgettable experiences, and each requires preparation. If one of your travel goals is to learn more about your ancestors and their origins, make sure you have searched the records already available online or on microfilm in your home country. There is nothing quite as disappointing as making the journey to a distant archive only to realize that the records you were hoping to consult were already available online. Before you go, make a list of the types of documents you want to search, and identify where those documents are held. In addition, contact the archive ahead of time to ensure that the records are accessible and that the archive will be open. Many archives also have published catalogs of their holdings which you can access online. If you feel overwhelmed, a genealogy research firm can help you create a step-by-step research plan, and they may have suggestions for record types and collections you might not have considered. They can also help you connect with archivists onsite in preparation for your visit. Visiting the places where your ancestors worked, socialized, worshipped, and lived is life-changing – though tracking this down can be tricky. Over time, many changes may have taken place on the street where your ancestor lived – street names and numbering systems may have changed, buildings have been destroyed and rebuilt, and even acts of war or nature may have created significant changes in the landscape your ancestor saw every day. Using maps and gazetteers, you can track down key places to see, despite the years that have passed between you and your ancestor. And, with a little imagination and some historical details, it’s not too hard to picture the click-clack of horse and cart or the structure of homes that have long since gone. Even if you can’t pinpoint an exact place of residence for your ancestor, churches, schools, and places of work were all important parts of daily life. Visiting these places, too, can be rewarding. On a research trip to Denmark, one of Legacy Tree Genealogists’ clients found amazing murals in a 16th century parish church where his ancestors were baptized, married, and buried. Though the tombs where they were actually interred had long since been reused, it was still exciting to see the scenes and paintings that they experienced on a weekly basis – some of which were quite gruesome! If you want to know more – some records that may provide information about locations of residence include maps, tax records, civil registration records, censuses, and land records. Collaboration with other living family members and even distant cousins can also help to pinpoint the exact location of an ancestral homestead. STORIES – Oh, The Places You’ll Go! The places your ancestor frequented have many stories to tell. Although your ancestor may not have been the star of those stories, local events provided the backdrop of your ancestor’s life. Before you visit, you can discover the stories of these events through newspapers and local histories. With a little digging, you may be able to eat at the pub your great-grandpa frequented, visit the farmer’s market where your ancestors sold produce, or tour the site where your ancestor worked. In preparation for a recent heritage tour, one of Legacy Tree Genealogists’ clients discovered that his ancestors worked at the New Lanark mill in Scotland. 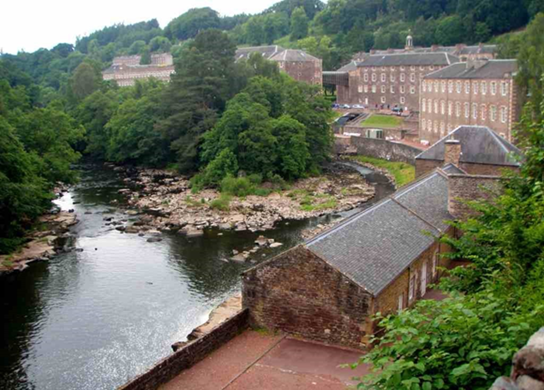 In recent years, this mill has been renovated and turned into a UNESCO World Heritage site with detailed working displays about the weaving process and what life was like in New Lanark when the mill was in operation. While visiting, the client also had the opportunity to visit a nearby archive and find records about his ancestor’s time in the mill. Even if the mill or factory where your ancestor worked is no longer standing, search for nearby sites that could give an idea of what their life was like. Connecting with living cousins who remained in the area where your ancestors lived is an amazing experience. To identify living relatives, consider searching online family trees relating to your own ancestors. If your ancestors appear in someone else’s family tree, they may have a distant relationship to you. Genetic testing can also connect you with cousins who share DNA from your common ancestors. In one recent research trip, we connected a client with a distant cousin. This cousin was the last living great-grandchild of the common ancestors shared with the client, and her family had been unaware of the fate of their American family since the time the ancestor left for the U.S. in 1870. She was delighted to learn of their exploits in the American West and was excited to share the stories she knew of her own family who remained in Europe. Through this connection, the client obtained photos of family members who remained in their home country – photos which the American side of the family had never seen. If you’re planning a heritage tour, whether with a travel agency or on your own, hire the experts at Legacy Tree Genealogists to discover the details of your ancestors’ life before you go. Contact us today to request a free quote. The In-Depth Genealogist is pleased to announce a new contributor to the monthly digital magazine, Going In-Depth. 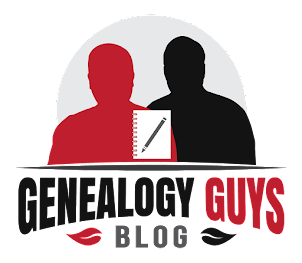 George G. Morgan of The Genealogy Guys Podcast has joined the writing team and will be sharing his expertise in a column called Genealogy, by George! who presents in the U.S., Canada, England, on cruise ships, and though webinars. He is the co-host of the longest running genealogical podcast, The Genealogy GuysSM Podcast, with thousands of listeners around the globe. His company also produces the Genealogy Connection podcast, and The Genealogy Guys Blog. George is also a prolific writer, with twelve books to his credit including the fourth edition How to Do Everything: Genealogy (McGraw-Hill) and a chapter in the new Professional Genealogy: Preparation, Practice & Standards. 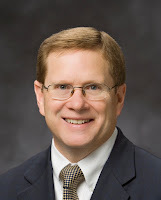 He is a regular writer for the Association of Professional Genealogists Quarterly, Family Tree Magazine, In-Depth Genealogy, Internet Genealogy, and Your Genealogy Today. He was won writing awards from the Association of Professional Genealogists and the International Society of Family History Writers and Editors. Subscribers to the magazine can look forward to his column beginning in November 2018. Membership lists and directories for religious institutions can yield important clues to locating your ancestors at specific periods in their lives. Religious institutions have maintained these files in a variety of forms, from lists and indexes to elaborate ledgers, and files on families and specific members. Membership records typically include information on when and through what process(es) someone became a member of the congregation. Membership transfers into a congregation and outward to another congregation in another place may help you trace your ancestors' movements between different places over time. These may be recorded in a membership roll or ledger, and written correspondence may have been retained. In addition, the congregational minutes or administrative records should be consulted to possibly reveal other details of an incoming or outgoing membership transfer. Membership records may include the membership and life events such as birth, baptism, christening, bar/bat mitzvah, marriage, annulment, divorce, death, burial, and any disciplinary actions imposed. They may include records of religious education. 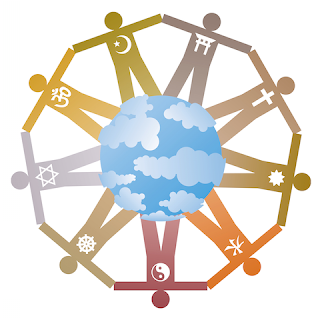 While the types of records will vary by religious group, location, and time period, they are important for the life details they provide - and for the migration clues and congregational details they may provide.